The Clean Room is back under Astrid Mueller's control. Yet even that patch of sacred ground may not be enough to protect her, her allies or humanity from The Entity's invasion of our reality. Is this humanity's final hour?! There is little to say about this issue beyond my being sorry it took me so long to get around to reviewing it (Tax/Con Season - am I right?) 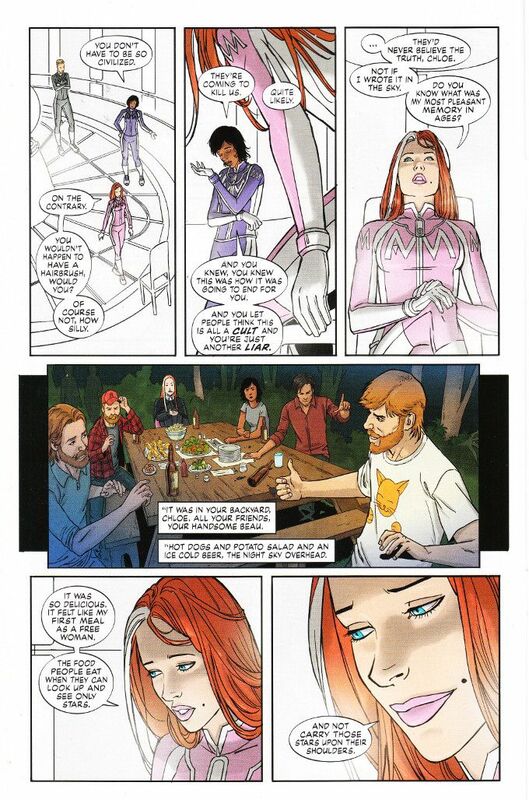 Clean Room was a unique horror title unlike anything we've seen before in American Comics. Hopefully this will not be its final hour and we'll get to see the Second Season suggested by the sales blurb on Comixology. Still, if this must be the end, it is a fantastic and fitting one. Final Analysis: 10 out of 10. If you haven't been reading it, get the first TP now!